HARBISON WALKER RENOVATIONS — Burchick Construction Company Inc.
Burchick Construction completed the demolition of this space under another contract for 600 Grant Street. 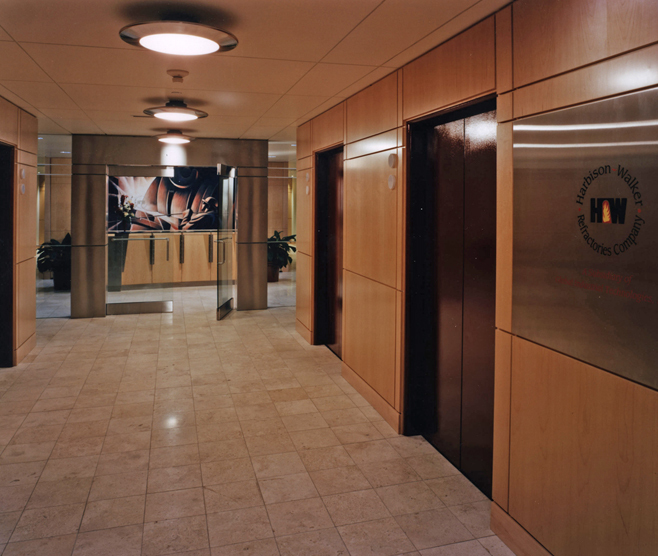 This project was the expansion of office space for Harbison-Walker. The project included new walls, acoustical ceiling, renovation of bathrooms, installation of new bathrooms, millwork, doors, and hardware. Mechanical and electrical requirements were under separate contract, but were coordinated through Burchick Construction. 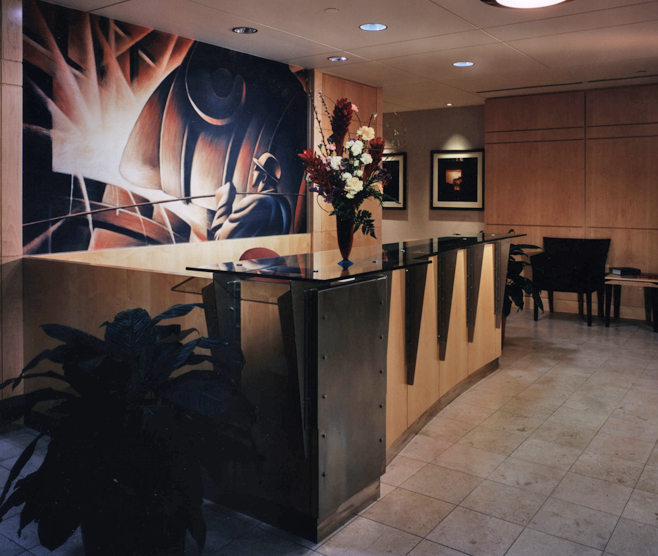 The project consisted of high-end millwork finishes and unique arches as well as reveals and brickwork in the lobby.